art « Midlife Crisis Crossover! Cool covers from the past 15 months. 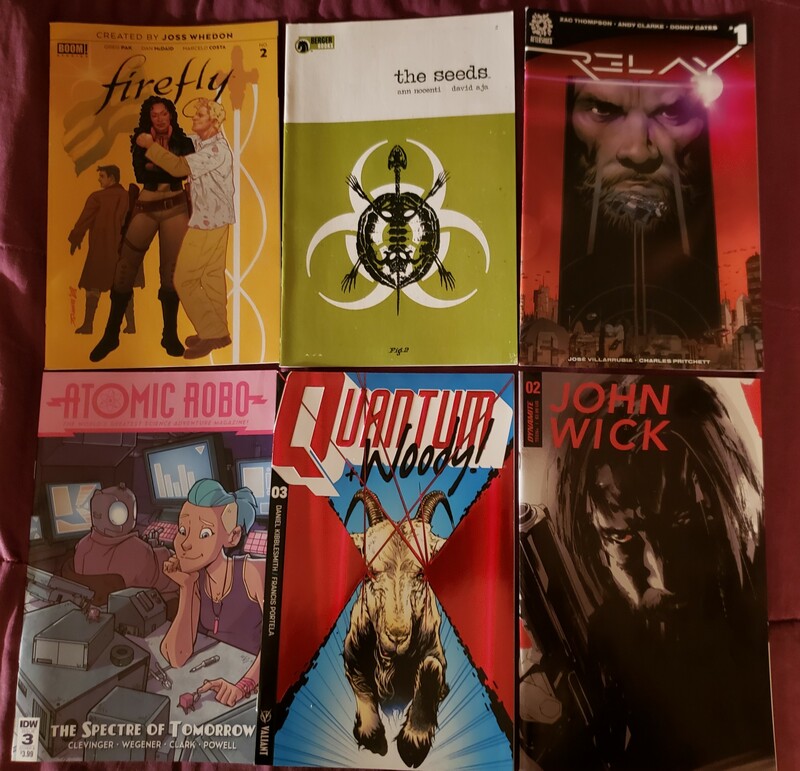 Art by (clockwise from top left) Bill Sienkiewicz; Jason Howard; Nick Pitarra and Michael Garland; Alex Ross; Darick Robertson and Diego Rodriguez; and Jeff Lemire. Image Comics has come a long way since the days of the original seven founders. 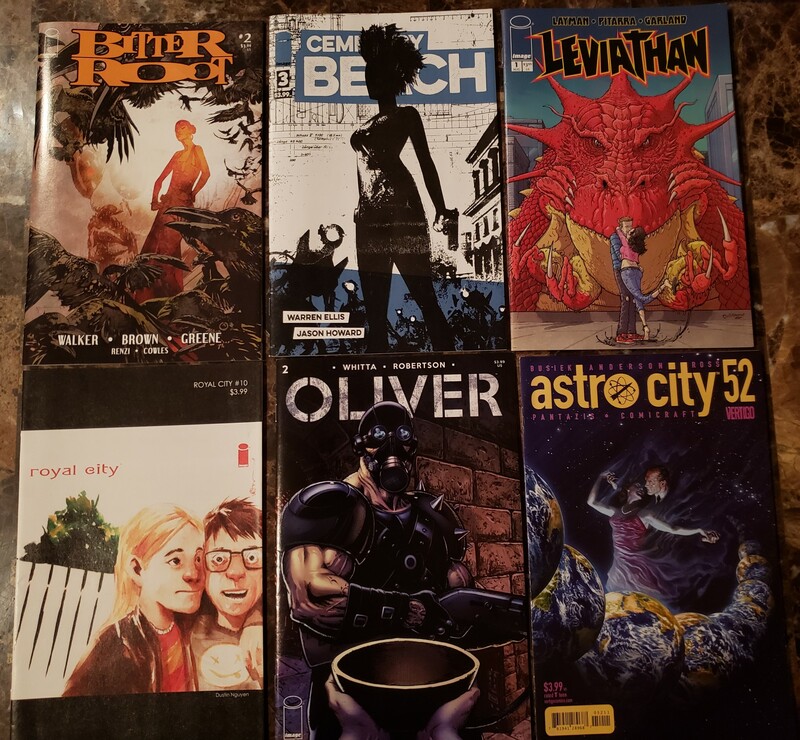 Though most of them don’t keep their hand in the medium on anything approaching a monthly basis anymore, other creators continue to flourish under their aegis, happy to have a publishing home that lets them prove there’s more to comics than superheroes and movies. 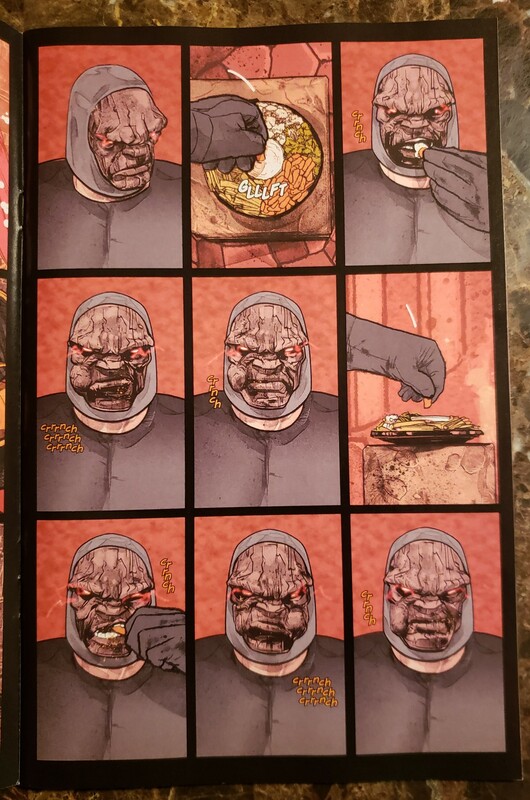 DARKSEID EATS. From Mister Miracle #11; art by Mitch Gerads. Years after the New 52 soured my status as a full-time DC Comics fan, I’m still creeping my way back into their universe, inch by inch. I’m in no hurry, particularly with my aforementioned rules against team books and crossovers in effect. With the help of “Rebirth” and a few bright spots from the Vertigo and Young Animal imprints, DC got my attention a bit more this year than the past few years. We’re getting there. 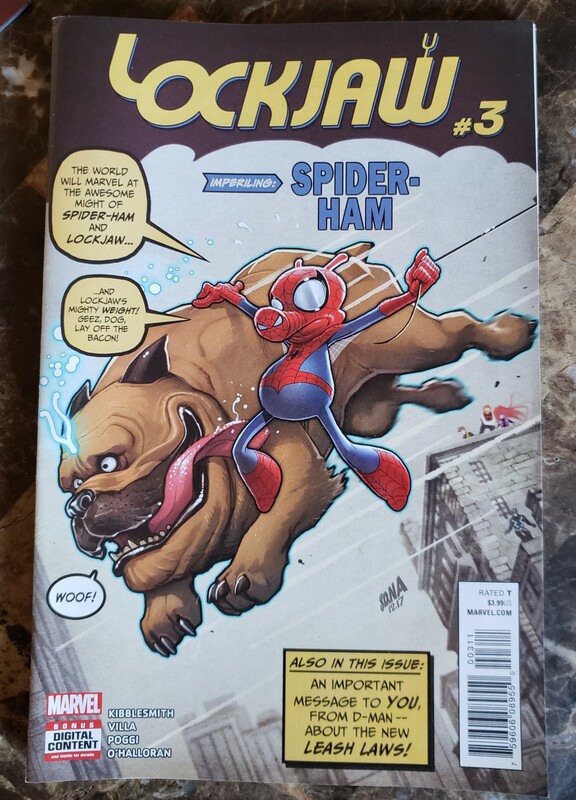 Don’t mind me, just pandering to fellow Spider-Verse fans out there. In tallying the figures, I was a little surprised to discover I’d tried more projects from merry Marvel than from any other company. That doesn’t mean I loved them all unconditionally, merely that so far they’ve held my attention even though I loathe crossovers and avoid team books, which tend to be their bestsellers and constitute some 80% of their lineup nowadays. With the size advantage and with Captain Marvel hitting theaters this Friday, why not let them go first. Nearly all the single issues I bought in 2018, sorted into alphabetical piles for better boxing, from Action Comics #1000 to X-Men: Grand Design – Second Genesis #2. 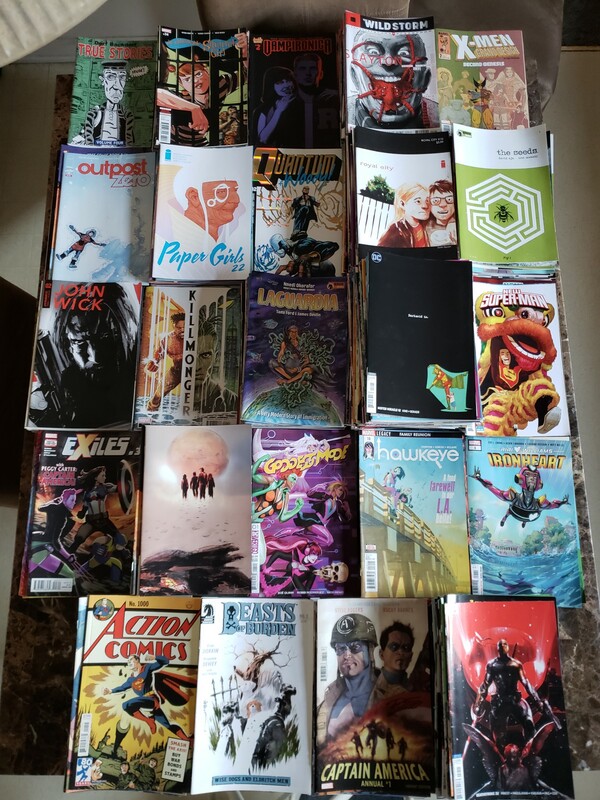 Comics collecting has been my primary geek interest since age 6, but I have a tough time writing about it with any regularity. My comics-judging criteria can seem weird and unfair to other fans who don’t share them. I like discussing them if asked, which is rare, but I loathe debating them. It doesn’t help that I skip most crossovers and tend to gravitate toward titles with smaller audiences. Whenever the larger companies need to save a buck, my favorites are usually first on the chopping block. I doubt many comics readers follow MCC anyway, so it’s really the best possible place for me to talk about comics unharmed, albeit all to myself. Whee. 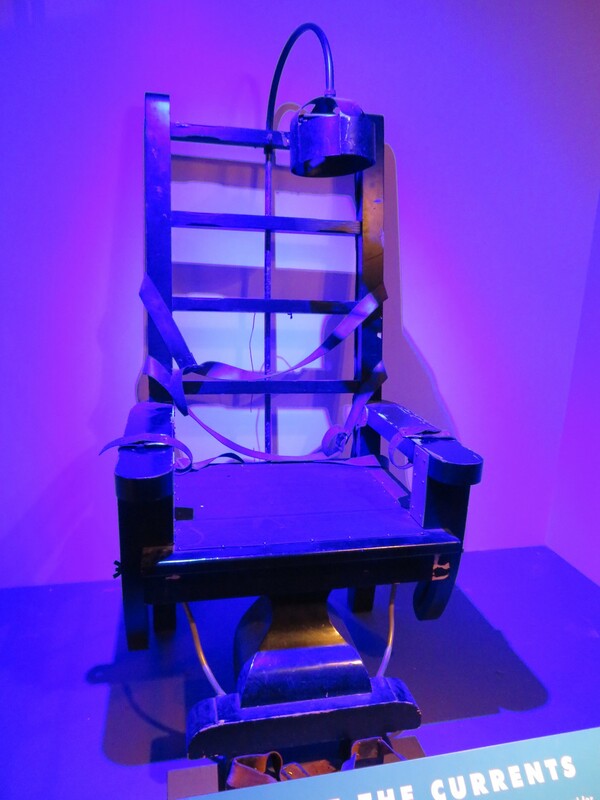 Purple electric chair from the Heinz History Museum. We failed to note its significance, but that color scheme cries out for more accessories. Previously on Midlife Crisis Crossover: we guided you through our seven-day trip through Ohio, upstate New York, and Pennsylvania in fifty episodes —- July 7-13, 2018, with stops along the way at nine museums or museum-like historical structures. Here in our penultimate chapter we present a selection of additional exhibits from those museums. Their fascinating exhibits could’ve kept us going for several more chapters albeit with increasingly diminishing returns. I tried to be choosy when curating the previous chapters, so the following gallery represents the honorable mentions, some of which were perhaps unfairly cut. Enjoy!